Australia failed to advance to the gold-medal match for the first time in four Olympic Games, but they will not go home empty-handed after bagging the bronze medal. 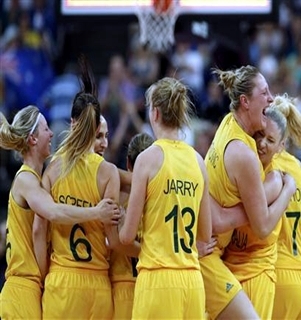 Led by their experienced veterans, Australia held off a late rally from France to escape with an 83-74 win over France to finish with the bronze in the women’s basketball competition of the 2012 London Olympics. Lauren Jackson, the leading scorer in Olympic women’s basketball history, ended his 2012 London Games stint with a bang as she finished with 25 points, 21 of it coming in the second half. 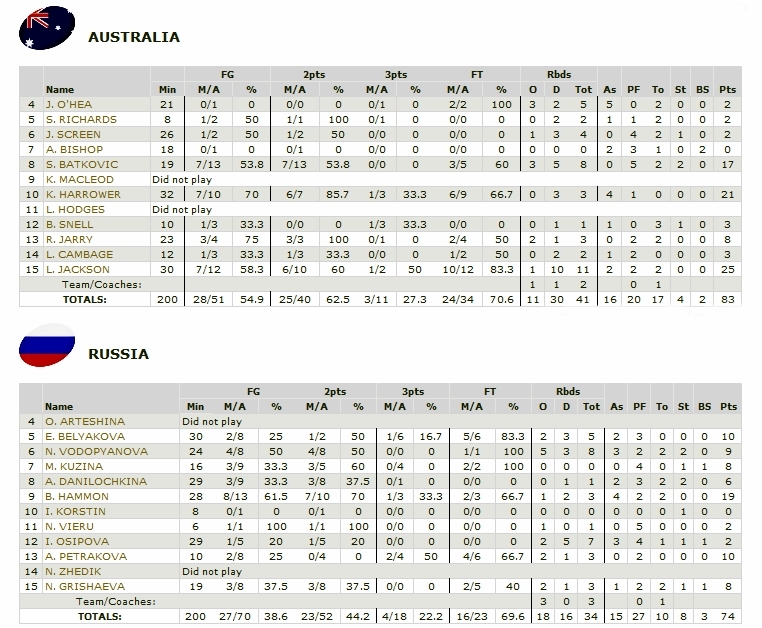 Kristi Harrower also had a share of the spotlight as she finished with 21 points, while Suzy Batkovic added 17 points and eight rebounds for Australia. After a see-saw battle in the opening period, Australia started to take control in the second quarter, unleashing a 7-0 run that gave them a 26-20 lead before ending the half with an eight-point lead. With the momentum they got from their second-quarter performance, Australia just wouldn’t be denied as they took a comfortable 56-39 lead and resisted a furious rally from the Russian’s to take the win. Becky Hammon had 19 points, while Evgeniya Belyakova and Ana Petrakova added 10 points apiece, but it was not enough to help Russia bag the bronze medal.